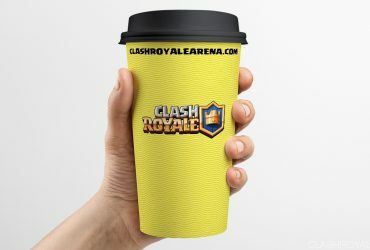 Hey guys it’s Ash and in this post I want to address some of biggest problems in Clash Royale and my opinions on how to fix them. 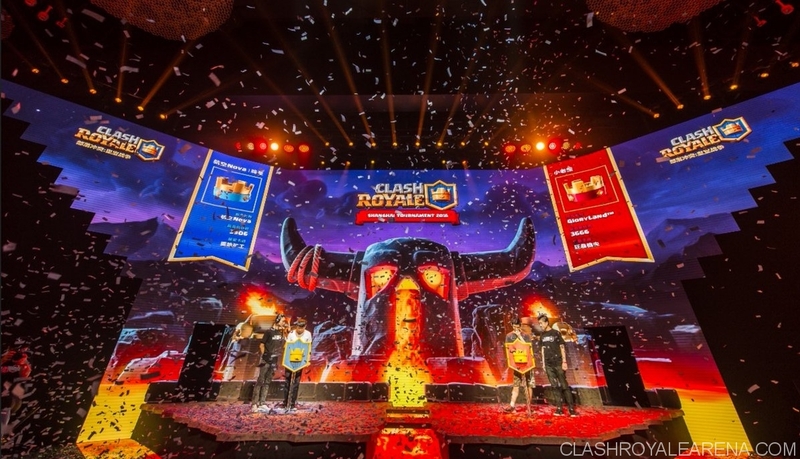 As a major content provider for Clash Royale, I feel like it’s my responsibility to speak for the community in regards to many of the problems of the game. And because of course I love this game, so the health of the game means a lot to me. First I want to announce that I’ve recently created a new Discord chat for all my fans to interact with each other, to create a closer community. So if you’re interested in joining, then you can find it at here. So now let’s talk about some of problems of the game. I believe that one of the biggest problems of Clash Royale is the lack of grinding or farming. Why does the game impose restrictions and force users to progress in a fixed, systematic fashion? For example, you are only given 4 chest slots, in which all the chests have a fixed unlock timer, and you get a free chest every 4 hours and ability to get Crown Chest every 24 hours. These are all fixed intervals, which puts you on pace with every other player who started playing when you did, regardless of whether you play more than them. You are not rewarded for playing and winning more, because once you get your Crown Chest of the day and unlock your Silver or Gold chest, there’s almost no point in playing anymore. This type of progression does not make a lot of sense. The idea of this system is to keep users logging back on frequently, to keep them active, especially when you also have to request for donation every 8 hours. But why put a limit on progression? If a player wishes to continuously play 12 hours a day so he could obtain more cards, then why not allow that? If a player is that dedicated to the game, he definitely deserves a Legendary Card. Grinding allows for more competitive and active players, more active than the player who just logs on sporadically to obtain their Free Chest and request for donations and then log back off without really doing anything other than logging on. There’s definitely nothing wrong with getting rewarded for logging on daily, but there’s definitely something wrong when you’re not being rewarded for playing more. And these players who play more also have a higher chance of spending money on the game. So in a business perspective, it doesn’t make sense why the game places these restrictions. When the victory gold reward system was introduced, I was very excited for the concept. The concept of allowing players to obtain gold as a means of grinding, being rewarded for playing more. But this was such a false hope. Turns out there’s a limitation on how much Gold you can earn after a certain number of battles and the Gold awarded for winning is extremely miniscule. My suggestion is to remove this limit and substantially increase the Victory Gold. Reward players for playing more. Gold is such a big scarcity in the game, especially as you progress, upgrading many of the cards as a F2P player becomes extremely difficult. It costs 20,000 Gold to upgrade a single Common card from level 10 to level 11. That’s half the cost of buying a Legendary Card from the Shop. This is a huge problem and restriction for F2P players. Gold needs to be much more obtainable, especially at Legendary Arena. And this will continue to become a bigger problem as the game introduces more and more new cards that we’ll need Gold to upgrade. Another very big problem to the game is level mismatches. Not only are there restrictions on how quickly you are allowed to progress in the game, but also restrictions on how far you can get depending on your level. Skill can only get you so far until you begin to regularly get matched up against someone higher level than you. Now the solution most people ask for is to simply make it so the matchmaking system pairs you up against someone of equivalent level. But this is not possible simply because it depreciates the value of leveling up. For example, why level up from a high level 8 to a new level 9 player and then be in a mismatch against high level 9 players with stronger cards. The level of your cards have a much bigger impact in a game than the level of your Arena Towers. We must also take into account that this game is a business, and one of its main objectives is to make money, which is of course common sense. And so, buying gems to level up and progress faster will obviously give you an advantage. If the game simply paired you up against players that are of same level or same card levels as you, then the person who bought gems to level up will no longer have an advantage. It would be the opposite for that person, he or she would be paying money to lose more. Why will this person lose more? Because this person will not be able to compete against other players of same level because he or she does not have the experience or skill due to buying their way up. For example, if a F2P player reached level 10 without ever buying gems, then that player will almost always beat a new player who simply went from level 1 to level 10 thanks to gems. So when we’re making suggestions for solutions, we need to think logically and fairly. I know it isn’t fair for many people when someone just buys their way to the top because of how big their wallet is, but we still need to consider things logically and consider a lot of other factors when making suggestions. So what is a proper solution for level mismatches? To be honest, I’ve been thinking of a proper solution to this problem for a very very long time and I still don’t know because some of the biggest flaws to this game are almost irreversible. The problem behind level mismatches is that like I said, card levels mean a whole dang much. Way too much. A card becomes about 10% better each level, and that is HUGE in my opinion. It should have never been this big. It would make a lot more sense if a card only became 4 or 5% better per level. Heck I would upgrade my cards even if they got 3% better per level because an upgrade is an upgrade. By keeping level upgrades low, you have less disparity between card levels of players who are 1 or 2 levels higher than you, making it a lot more skill-based. In the current state of the game, if your opponent has a Fireball one level higher than your Three Musketeers that you deployed behind your Giant, then that Fireball will instantly one-shot all your Musketeers and completely overturn the battle. It would be a much more different story if your opponent’s Rare Cards were the same level as your Rare Cards. Another simple example is if your opponent has Goblins one level higher than your Zap Spell. Say you send in your Hog Rider and your opponent uses Goblins to counter it and you have Zap Spell, if your opponent’s Goblins are one level higher than your Zap Spell, then they will live and quickly kill your Hog Rider. Whereas, if they were the same level as your Zap Spell, they would die and your Hog Rider would have done over 1000 HP more damage on their tower under the same scenario. 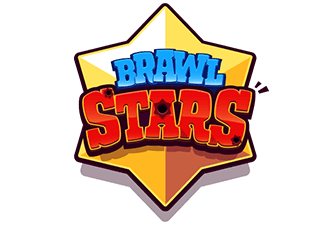 Win trading or also known as Boosting is a cheat in which a player plays against their second account or a clanmate or friend to obtain free wins and easily raise their trophy count. This is a huge problem because this affects some of the biggest supporters or spenders of Clash Royale. People have paid an enormous amount of money to compete at the top and then you have some guys exploiting the system to obtain free wins. Even though this affects me in no way, it’s something that must be addressed. 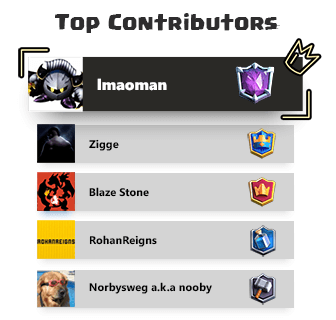 Why isn’t Supercell readily banning these guys? There’s blatant evidence. Maybe permanent ban is too harsh for these heavy spenders, so why not even a soft ban? Disadvantages of not having Legendary Cards, especially when cards such as Princess, Ice Wizard, and Miner offer so much value for only 3 Elixir. Fast paced or decks specialized in 3 crowns have a big advantage over slow paced build-up decks or defensive decks because time in a tournament is a big factor. You need to win as fast as possible to be successful. There’s no way to kick certain players or cancel a tournament after you’ve created it. Black markets are selling tournament spots and cards. So yea, I hope Supercell is working on fixing these problems. Ever since Legendary Cards were introduced it fueled a lot of concern. In my opinion, the biggest mistake Supercell made was introduce these cards. They’ve made the bridge between F2P and P2W a lot bigger. Obtaining these cards as a F2P player is extremely difficult and unlikely, while someone spending a couple of hundred dollars can easily obtain multiple Legendary Cards from Super Magical Chests. The biggest problem of Legendary Cards is not that they are so hard to obtain, but because of how good they are. The Princess, Ice Wizard, and Miner are among some of best cards in the game and give way too much value for only 3 Elixir. So the solution here is simple, nerf these Legendary Cards and significantly increase their drop rate. Yes they are “Legendary” status, so what? Cards such as Zap Spell and Hog Rider are super good and they aren’t even Epic. Rarity does not equate to potency. There are a lot players spending a great deal of money to get these Legendary Cards, but what is more important, fast money or the health and long term value of the game? The introduction of Legendary Cards in the game negatively impacted over 90% of F2P players. And your playerbase and ratings are so much more important than making a quick buck and killing the game. 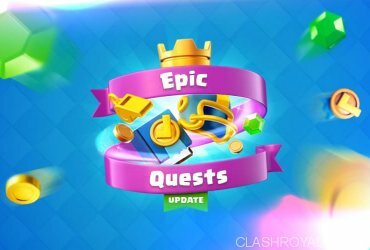 Clash Royale is still a new game with lots of potential, and the long term value of the game right now is more important than anything. Now there are other obvious problems to the game that should be fixed as soon as possible, such as having a separate window for donations because in an active chatty clan, oftentimes you run into problems where the person’s donation request disappears simply due to the clan being chatty. So yea, I’m not sure why this problem is taking so long to be fixed. Balance problems in low arenas need to be taken more seriously. At the moment, Supercell only cares about statistics from the highest ranked players in the game. But balance and gameplay in the low Arenas is super important because that is where you have the highest population of players in the game. And your goal is to retain these players. Retention rate is proportional to early game experience, which means that if you want these players to keep playing, then you need to make sure things are fairly balanced in these lower arenas. The best way to balance lower arenas is to simply introduce new cards that can be used to counteract some of the biggest problems in the lower arenas. For example, hut spamming is plague in lower Arenas with few solutions. So a certain Common card like an Earthquake Spell that only inflicts damage on buildings would be an excellent solution to this problem in the lower Arenas. Now it’s just not the lower Arenas, but balance changes also need to account for players around the 3000 to 4000 trophies range, which is a region populated by many of the most skilled players. The Top 200 in the leaderboard is not a great depiction of the most skilled players, but more so of a bunch of big spenders. After all, how many level 13 players are there in the game and how many are in the top 200 leaderboard and how rarely do you ever see a level 13 player winning in big tournaments? The point I’m trying to make here is that it’s a different environment from Top 200 and the players around the 3000 trophy range. A typical Top 200 player does not need to worry about level disadvantages because most of them have already maxed out all their cards. Whereas, a player in the 3000 range needs to worry about such threats as a level 9 player with a level 11 Royal Giant. Because of the Royal Giant being a Common card and also being a really good card, it’s very easy to level him up, which causes an imbalance in the 3000 trophy region. These are problems that shouldn’t be ignored, especially since this trophy region is so much more populated than the trophy region of the top 200 players. Clans need to be more interactive and adding a Clan War system similar to Clash of Clans would be an excellent addition to Clash Royale. There should be a big reward for reaching Legendary Arena. In Clash of Clans, you are rewarded 2,000 Gems for reaching 3000 trophies. There are probably a lot of other problems I forgot to address, but those are some of the most important I can think of right now. Hopefully Supercell takes note of these suggestions. Let me know if you guys agree and if you have any better suggestions, feel free to comment below because I would love to hear it. So thanks for reading, hope you guys liked what I had say. I’ll see you guys again soon, Later! October Update Recap! Touchdown, Daily Quests, New Shop and Free Offers!